Probate courts appoint legal guardians to care for minor children if their parents die. A guardian ensures a child receives such things as housing, food, education and health care until he reaches the age of 18. Parents can nominate individuals to serve as guardians in their wills. 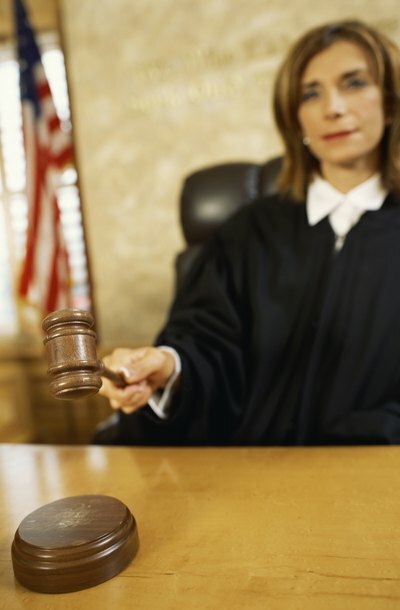 Generally, judges follows parents' wishes by awarding guardianship to the parents' nominees. If a nominee is unable to serve, the court chooses another capable person to act. State laws regarding guardianship may vary. Wills generally have specific paragraphs addressing guardianship nominations. Generally, guardianship provisions only have effect if both parents die. If a child has one living parent, that parent is in charge of the child's care. Alternate guardians may also be nominated in case parents' first choices cannot serve. For example, John and Jane Doe nominate Jane's brother, Bob, as guardian of their children and, in case he cannot act, John's sister Sarah, as alternate guardian. Parents should examine many factors when nominating guardians for their children. The age, health and location of a guardian are important considerations. For example, if a guardian lives out-of-state, a child may need to relocate, change schools and make new friends after the trauma of losing a parent. Personal habits such as religion and lifestyle should be examined. Parents should choose a competent person who is capable of maintaining a stable environment for the child. Parents should consult with potential guardians before nominating them in wills. Guardians should understand the responsibility of raising children. They should consider the impact of bringing a new child into their homes. Parents and guardians should have a good understanding concerning the goals for the children and how they would be achieved. If a person is hesitant about the duties of guardianship, a parent should consider an alternate choice. Guardians generally do not have control over a minor child's money. Conservators are typically appointed through an independent order to oversee a child's assets. Parents also may nominate conservators in their wills. A conservator may be the same or a different person than the guardian. If separate people are selected, parents should consider how the individuals would work together for the betterment of the child. Trusts can also be set up to bypass probate and place a trustee in charge of a minor child's inheritance.